Bowknot M-07 produced from polyester tape, width 10mm. Available colours: white and black. Bowknot M-07 produced from polyester tape, width 6mm. Available colours: white and black. Bowknot D-06 produced from polyester tape, width 7mm. Available colours: white and black. Bowknot M-10 produced from polyester tape, width 10mm. Available colours: white and black. 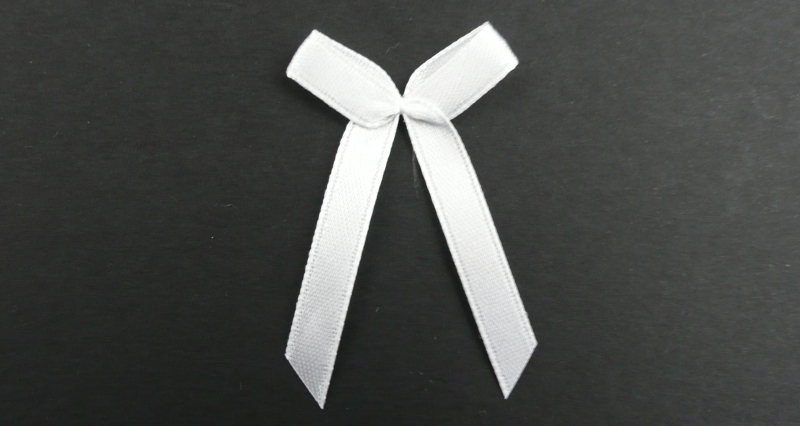 Bowknot M-01, produced from polyester tape, width 6mm. Available colours: white, black and cream. Bowknot M-02 produced from polyester tape, width 9mm. Available colours: white, black, beige, red, ecru and pink. Bowknot D-12, produced from polyester tape, width 12mm. Available colours: white and black. Metal hook. Available sizes: 10mm, 12mm, 16mm. Available colours: white. Slider metal. Available sizes: 10mm, 12mm, 16mm and 18mm. Available colours: white and black. Ring metal. Available sizes: 10mm, 12mm, 14mm and 15mm. Available colours: white and black. Whalebone. Available lengths: 5cm and 24cm. Available colours: white and black. Fastener for nursing mother. Available colours: white and black. Available sizes: 12mm, 16mm and 18mm. Clips to stockings. Available colours: white, black and transparent. Available sizes: 12mm.18mm. Plastic sliders- regulators, rings and clips. Available colours: white, black, beige and transparent. standard corsetry tunnel, strengthened, width 11mm. Available colours: white, black, beige, red, brown and cream. Standard, corsetry labels. Available sizes from A to DD and 70-115. Flowers on tape, diameter 19mm. available colours: white, black, beige and navy blue.